Veggie gardening musings and news for gardeners and foodies! This last section on companion planting (CP) sums up practical ways to cultivate a healthy garden with some “built-in” natural protection. By this time, you should be convinced that intercropping to create a diverse vegetable garden “habitat” is most effective to naturally protect your garden from pests, and can potentially enhance the yield of your favorite crops. Monoculture not only makes your valuable veggies more susceptible to pests in one season; sometimes, despite your efforts to work in rich, organic fertilizers, the same family of plants grown in the same area will fail in later seasons. We learned this the hard way as we were initially concerned about having too many different veggies with too little yields. As it turned out, yields started falling in later years as our broccoli became more susceptible to pests (BTW – brassica family, unlike tomato plants, generally like to be moved around). So be daring, be bold, and experiment with different veggies – even those you think you’d never like! Your lovely spring garden or the woods near your home may look “serene”, but in truth, there’s constant warfare going on at a physical and chemical level. So why not take advantage of it? For instance, sunflowers may be great weed deterrents as they were found to be strongly allelopathic to weeds like wild mustard, jimsonweed and ragweed (Ref 1, p. 310). Or what about selecting a “sacrificial plant or soldier” to protect the more valuable crops? For instance, kale can be planted at borders of other more valuable cabbage family plants to draw pests away. Or black nightshade can be used as a decoy plant to attract Colorado potato beetles away from your potato plants. This may not be the best option for those of you with tiny gardens, but try to think of creative ways – even using containers which can easily be moved around – in deploying “soldiers” to protect your cash crops. And while we’re on the subject of war, keep in mind that CP is not necessarily a mutually beneficial combination. 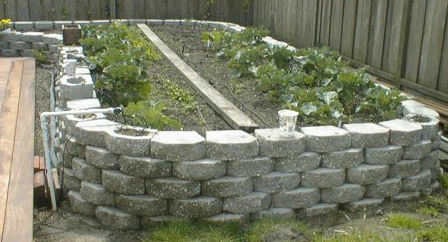 Some gardening experts believe that it is almost one-directional, though this can be difficult to ascertain. For instance, you might consider that if carrots were planted next to peas or tomatoes (as our comparison of CP guides suggest), would yields from peas or tomatoes be greater at the expense of the carrots? Many gardeners certainly deploy ornamentals like nasturtiums and marigolds to protect plants from pests like aphids, detrimental nematodes, white flies, and other pests. But having herbs and flowering plants (esp. daisy and parsley families) also benefits the vegetable garden by attracting beneficial insects and birds that eat nasty bugs or pollinate plants. We have had success growing tomatoes and beans with marigolds in containers, but have yet to attribute the yields/health of the plants to the marigolds. Some CP guides will suggest different varieties of marigolds for different pests (African, French and golden marigolds appear to be the best varieties). Nasturtiums (whose flowers are a mildly peppery but delicious and attractive addition to your salad!) do have to be kept in check as they can take over an entire area, and are an incredible snail magnet on the West Coast. If you’re really intrigued by companion planting and want to put it to work for your garden, then record your observations. Your best CP guide is your own gardening experience, though keeping in mind that results may not always be reproducible (see Part I). A simple notebook or spreadsheet works perfectly well (of course, there’s Plangarden, too 🙂 ) Some variables to keep in mind are the yield and planting distance in the control vs. experiment plots. For the die-hard garden geeks, we refer to Anna Carr’s excellent book (Ref. 1, pp. 332-355) that offers experimental techniques. Good luck and may the companion forces be with you! For centuries, people have observed beneficial and detrimental relationships among plants in specific configurations. Companion planting (CP) is all about cultivating vegetables and flowers that will be beneficial to your plants and ultimately, enhance your harvest. But because of the complex interactions among plants, animals, the chemical composition of the soil and air, and even extraterrestial influences that some gardeners swear by like the phases of the moon, certain guidelines are more consistent than others. 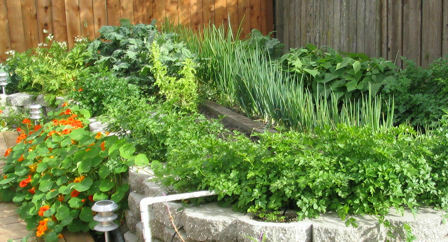 In many respects, edible gardening is an art that we in our unique locations must tailor for our own ecosystem. We need to draw on our powers of observation and common sense if what was prescribed did not produce the desired results. What you’ll discover in doing a Google search is that there are CP guidelines that are consistent across different environments (i.e. may have a valid biological/chemical basis), and then there others that are “hit or miss” (i.e. may have originated from anecdotal evidence subject to conditions that cannot be duplicated in most environments). To understand companion planting, it helps to know your basic plant families. 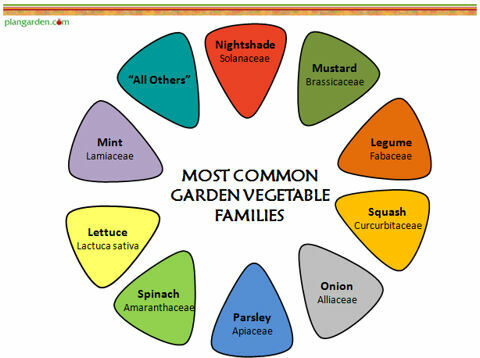 We created a Garden Vegetable Family slideshow to acquaint you with the basics, so that if you see the term “nightshade”, you’ll immediately think of tomatoes, potatoes and bell peppers, and how it’s often not recommended to plant them near each other. We’re sorry, but that survey is now closed. Thanks for your interest!